Splash into the Pocono Mountains this Summer with our Waterparks and Beaches. ThePoconos is filled with indoor and outdoor Waterparks including two new ones that are being built and are set to open this Summer of 2015. CamelBeach - This waterpark can be found where you usually hit the mountain to go ski during the winter. Camelback Mountain. CamelBeach has 37 rides, slides, and watery attractions. It also has its own private cabanas and the all new Adventure Zone theme to the park. Kalahari Resort - This will be our biggest Waterpark yet. It is set to open in July of 2015. This will be a Family Resort with an indoor and outdoor waterpark and a family entertainment center. Kalahari also includes Spas, Salons, Camps, and plenty of family fun. Great Wolf Lodge - This may be our oldest Waterpark. This 84 degree indoor park includes slides including the double barrel drop and coyote cannon. There are also suites, spas, and watery entertainment made for the kids such as Fort Mackenzie. Summer 2015 is here in the Poconos. After Memorial Day is when the Season kicks off all the way until Labor Day. Everything starts opening up and all of the trees come back to life. Aside from Skiing, there are tons of fun outdoor activities and other popular attractions to the Mountain from Resorts to Camping to Shopping to Waterparks. Hiking , Fishing, Firework Shows, and much more are what makes Summer in the Poconos a fun place to be. Take a look at some of our fun attractions that have nothing to do with our famous Ski Resorts. The Crossings Outlet Stores in Tannersville Pa provide a variety of shopping including Namebrand Clothing Outlets, Restaurants, Family Stores, Candy Stores, and much more! Also, only a few minutes up the road is Camelback Mountain & Waterpark. Spend a Day at Camelbeach and a mile or two away find yourself at The Crossings spending the night going threw your favorite shopping stores and dining out with the Family. Mt Airy Casino Resort is one of the many Pocono Mountain Resorts with an 18 Hole Golf Course along with many other Amenities including Spa, Fitness Center, Fine Dinging and much more. Mount Airy hosts a number of charity events. Mount Airy is a 5 star Casino located right in Mount Pocono with Table Games, Slot Machines, and much more. Here in the Poconos one of our Favorite Festivals is coming up. That would be Race Weekend at Pocono Raceway in Long Pond Pa. The Pennsylvania 400 is set to take off on June 7th, 2015. That is only a week and a half away. If you are like most race fans who flood the Mountain to see the race on the tricky triangle known as Pocono Raceway, then you are set for the weekend. However, if you are a late bloomer and are still looking to find a place to stay to take in the festivities leading up to the race and the race itself, here are two Pocono Communities that are only minutes away from Pocono Raceway. Race Weekend in the Poconos is always a giant celebration from Long Pond to Stroudsburg. See you at the race! Emerald Lakes also offers 2 Beaches with Complete Bathhouses and Playground Facilities. There is an Indoor Pool and an Outdoor Pool that go along with the Tennis Courts and Basketball Courts. Think of Emerald Lakes as the Community Connecter of the BEST Pocono Resorts! Take your chances at the 5 Diamond Mt Airy Casino after checking into your Perfect Pocono Mountain Home in Emerald Lakes. Near Emerald Lakes you'll also find CamelBeach. Pocono Raceway is only 10 minutes away on Long Pond Road. Brier Crest Woods can be found Conveniently right off of PA Route 903 in the tiny town of Blakeslee PA. Hundreds and Hundreds of Acres of Wooded Green Space keep this Community Rustic and Earthy. Great in location to many of the Poconos favorite Resorts and Attractions such as Split Rock, Francis E Walter Dam, and only 5 minutes up the road is Pocono Raceway. Brier Crest is our most popular Community for race fans in the Poconos. Here in the Poconos we host a number of events that draw people from all over the nation all year round. With Summer being the current season, there are a number of fun activities and traditions that will make Summer 2015 one to remember. One of these festivities include Pocono Race Weekend. Race Weekend in the Poconos is a celebration the entire week leading up to the big race, and the big race is only a week and a half away! There are a number of fun little events happening from Pocono Raceway in the tiny town of Long Pond all the way to Stroudsburg to usher in Race Weekend. Pocono Raceway will host the Axalta "We Paint Winners" 400 on Sunday, June 7, 2015 with events leading up to the race all weekend. Recognized as one of NASCAR's most competitive raceways, Pocono's unique 2.5 mile track features three turns, each with its own degree of banking. Qualifying will be held on Friday, June 5, 2015. Tickets for Friday and Saturday start at $10 and $20. Pocono Raceway will host the Pennsylvania 400 on Sunday, August 2, 2015 with events leading up to the race all weekend. Recognized as one of NASCAR's most competitive raceways, Pocono's unique 2.5 mile track features three turns, each with its own degree of banking. Qualifying will be held on Friday, July 31, 2015. Tickets for Friday and Saturday start at $10 and $20. 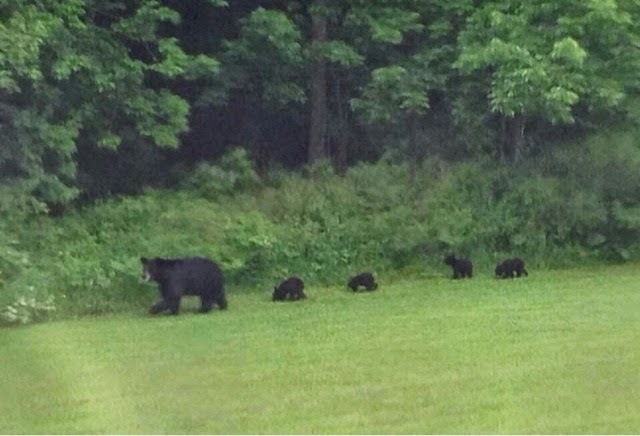 The Poconos is known for many different things. All year round The Mountain has something different to offer everyone from full timers to second home owners who come here as a healthy getaway from the big city life. With Summer 2015 being here and all of the Lakes and Beaches open for business, lets take a look at the most popular and BIGGEST Lakes here in the Poconos. Lake Wallenpaupack - This Lake is certainly one of the most popular based on the fact that is the Largest Lake in the Pocono Area. Lake Wallenpaupack is a man made 5,700 Acre and 13 mile in length Lake located in Pike County. This Lake has it all including Walking Trails, Campsites, Boating, Waterskiing, Jetskiing, and Fishing. Lake Harmony - Located in Carbon County is Lake Harmony. This is a 125 Acre Lake with Beaches for laying out and it offers Swimming, Boating, Jet and Water Skiing, and much more. It is the only Jetskiing Lake in several miles of this part of the Pocono Mountains. The Poconos is full of different Communities with Tons of Lake Adventures available. CLICK HERE to see all of the different Communities with Lakes. CLICK HERE to view Lakefront Homes that are currently available in the Poconos. With a Lake in your backyard you are sure to have the ultimate Pocono Experience. Here in the Poconos the Summer Season has begun this past weekend. With Memorial Day Weekend being history in 2015, the life on the Mountain has changed. There is more people, more fun, and a ton more Festivities. The nice weather means the Mountain comes to life with it's many different activities and festivities such as Firework Shows, Race Weekend, Parties on the many Beaches, taking the Golf Cart for a spin in your favorite Pocono Community, and much more. Check out these two Festivals that could only come to the Poconos during the Summer! The tree lined streets of Milford will be once again filled with the sound of music. Since 2010, the Music Festival has been a boro-wide sidewalk event with music, shopping, dining, and fun all over town, attracting music lovers and encouraging them to explore Milford. Twenty-five plus individual business participate, giving music lovers a reason to experience Milford from one end of town to the other. Enjoy Remington Ryde, The Carroll Company Ramblers, Nitro Ride, The Blades of Grass, Across The Tracks Bluegrass Band, Louise Setzer, Mark Milkos, and many more. The event is held rain or shine due to the covered stage and seating areas. The festival also includes children's activities and musical workshops. Music Festivals are a huge part of what makes the Poconos so much fun during the Spring and Summer Seasons! With Summer officially here in the Poconos, it is time to make your way up to join in on all of the festivities that the season brings to the Mountain. The Poconos isn't just for the Skiiers and Winter Sport Enthusiasts anymore. The Communities and Parks in the Poconos bring a wonderful new way to enjoy what the Mountain has to offer including Boating, Swimming, Fishing, Camping, Hiking, and simply taking the Fantastic views of the endless Mountains and Trees coming back to life. Take a look at one of our more popular Summer Time areas here in the Poconos. Here's why Lake Harmony is special. With a fantastic Memorial Day Weekend here in the Poconos, all of the amenities are now open for business in all of the Communities. Every May all of the pools, beaches, and picnics areas open up for all of the city escape artists who call the Poconos their home away from home. Memorial Day is usually the start of a long and fun Summer on the Mountain. More people, more activities, more amenities, fireworks, celebrations, and a ton of fun. Come and join in on the festivities of the Poconos at these two prime Summer Communities. Arrowhead Lakes - This Community boasts a number of amenities and it is one of the most popular in the entire Poconos. Arrowhead has 2 Lakes, 4 Beaches, 3 Heated Outdoor Swimming Pools, Picnic Areas, Basketball & Tennis Courts, and it holds a number of Community Festivals all Summer long. Locust Lake Village - This Community is full of water and fun. Locust Lake has 4 Lakes, Beaches, Swimming, Fishing, Boating, and much more. Like Arrowhead, there are picnic areas by the beaches with concession stands and BBQ areas. Lake Naomi is a Five Star Platinum Club Located in the tiny town of Pocono Pines PA. Enjoy Golfing at the 9 Hole Executive and Private Golf Course, and be sure to check out the Two Olympic Sized Outdoor Swimming Pools including the Largest Outdoor Heated Swimming Pool in the State of Pennsylvania. Also, enjoy the Fun Filled Activities at the 48,000 Square Foot Community Center which offers a number of Community Amenities including an Indoor Pool, Fitness Center, Indoor Tennis, and Family Filled Activities all Year Long! Lake Naomi offers The Best in Upkeep and Recreational Staff and Community Amenities. Lake Naomi is a very Peaceful Retreat for its Homeowners and Renters with Massive Stretches of PA State Gamelands all around with an Abundance of Nature and Wildlife. Split Rock Resort is one of our most amenity filled communities boasting a number of fun activities, events, and amenities for the whole family to enjoy. Split Rock is great in location to many Pocono Attractions including Pocono Ski Resorts Big Boulder and Jack Frost, Mountain Laurel Golf Course, and Penns Peak. Split Rock also hosts a number of events all year round that bring in people from all over! This year Split Rock will be hosting The 25th Annual Great Tastes Of Pennsylvania Wine And Food Festival. This Festival is held in the Community Of Split Rock every Spring. Mark your calenders now because the dates for this year are June 20th and 21st from noon to 6pm. This two-day, outdoor festival features musical entertainment, many of Pennsylvania's finest wineries, and a wide selection of food and craft vendors. Educational seminars are held during festival hours. Come experience everything you loved about wine fest in the past and all the great new things happening this year. With Spring technically here, The Pocono Mountains is gearing itself up for outdoor adventures. Come on down to The Francis E Walter Dam, The Lehigh Gorge, or The Tobyhanna State Park and have some outdoor fun. Take a walk through and breathe in the Fresh Mountain Air from the Lehigh River and the surrounding Trees and wildlife. Here are two Pocono Communities that are near Pocono State Parks. White Haven Poconos - This is a Get Away Community, but still has some Amenities including a Sandy Beach- Bath House and Pavillion. Residents usually love to enjoy the View on Sunrise Lake. They have an anual picnic which is a great oppurtunity to meet your neighbors and fellow Escape Artists. Explore the very scenic and down to Earth paths all the way to Lehigh State Gorge Park which is right up the road. Camelot Forest - Camelot Forest is basically a Nature Retreat Get away amongst the tiny town of Blakeslee. It backs right up to Pocono Lake Preserve in some parts as well. This Community offers its residents an average size parcel between a half to a full acre and public sewers. Amenities For Camelot forest include Two Lakes, Tennis Courts, and a nice sandy beach. Camelot Forest is only minutes away from The Francis E Walter Dam. Spring is doing what it does best in the Poconos which is blooming with the color and fragrance of the Beautiful Pocono Mountain sides. The trees, plants, and flowers are coming back to life giving the Poconos its color back! Spring is here. 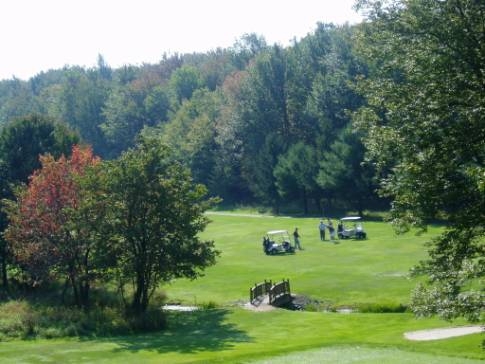 Spring brings out the outdoor Earthy side of the Poconos when the many Golf Resorts get ready to tee off, the Pocono Mountain State Parks are ready for the hikers, and the Lakes are full with hungry biting Fish. The melting snow and Spring rain causes White Water to rush down from the top of the Mountains creating Wonderful Conditions for the outdoor enthusiasts to get their fill of White Water Rafting in especially on the winding Deleware and Lehigh Rivers. Spring in the Pocono Mountains is a season full of Whitewater Rafting, Kayaking, Canoeing, Fishing, Golfing, Hiking, Mountain Biking, Tennis, Food, Ethnic Festivals, Shopping, and Site Seeing. Before you know it, Summer will be here! Summer is officially here in the Poconos. As the outdoors come to life, the people pile in to have some outdoor adventures on the Mountain. 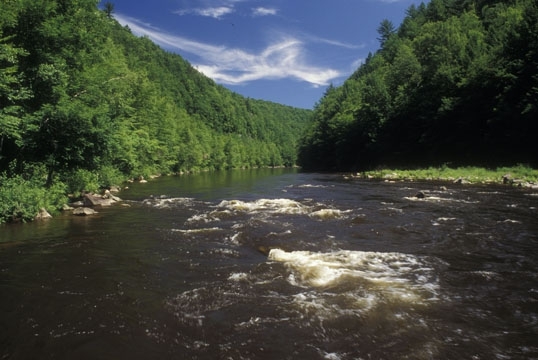 Check out one of our favorite outdoor attractions The Lehigh Gorge State Park. The Lehigh Gorge State Park awaits all of the Pocono Mountain Travellers. This park goes a little unnoticed in the Poconos. Located in White Haven Pa, you may find yourself hiking or biking through the trails and stumble upon all kinds of wildlife and natural beauty. There is so much to see if you are one of those Earthy Outdoor Enthusiasts. The Pocono Mountains and The Lehigh Gorge State Park is the place for you to be. There is Spectacular Scenery all across the Gorge. Bring your cameras to snap a picture of pure beauty on these trails! You will find yourself running out of film ( Old School) or Batteries (More Modern). The Lehigh Gorge is a place to take family, friends, or to venture off on your own personal adventure through the 20+ mile crushed stone multi use trail that is available for hiking oppurtunities. Follow the Lehigh River down the rocky riverside. The Mountain Vista Campgrounds offers a tremendous amount of activities such family attractions, campfires, and natural scenic beauty. Camping families and friends will find secluded campsites for tents and all types of RV's including Big Rigs. There are also Cabins available. Nearby are some other Pocono Mountain Attractions such as Delaware Water Gap National Recreation Center, Bushkill Falls, Mt. Airy Casino, Golf Courses, Shopping, Flea Markets, and Restaurants. Mountain Vista Campgrounds has there very own Amenities. Some of these include Tennis Court, Shuffleboard Court, Bocce Court, Basketball Court, Swimming, Horseshoes, Fishing, Hiking, Bingo, and so much more. With Summer right around the corner, all of The Pocono Waterparks will surely be open for business. The Poconos has some of the best waterparks there is, and we will be adding another one to the mix in July of 2015 when Kalahari Resort opens up in Pocono Summit. Take a look at one of the favorites of Pocono Waterparks located at Split Rock Resort. H2O Waterpark. Holiday Pocono is a Cozy, Charming, Nestled in Gated Lake Community in Albrightsville PA located just off of Route 534. An easy Community to slip off the Radar because of its Nestled in Nature and Seclusion being Completely Surrounded by PA State Gamelands. Holiday Pocono is small in size, but certainly makes up for it because of its Tight Knit Ties and its oneness with the Nature that surrounds it! Although it is small in size, Holiday Pocono is no Stranger to Community Amenities just like all the other Pocono Communities. ATV's are welcome. Holiday Pocono offers its Homeowners 2 Lakes. One of the lakes is for Fishing, and the other is a 35 Acre Lake for Swimming and has its own Pavillion, Bath house, and Playground on site. Also including a Clubhouse, Beach, and 24 Hour Security. This Cozy Community Consists of a Mixture of Houses and Lots set Nicely Among the Huge Trees. Don't Forget, Hickory Run State Forest is right down the street from Holiday Pocono. Take a look at some of the fun events happening in the month of May here in the Poconos! Spring time is when the Mountain comes to life!